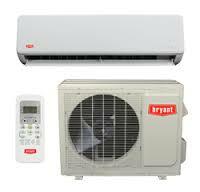 DUCTLESS MINI SPLIT SYSTEM INSTALLATION AND REPAIR IN THE SIDNEY, OHIO AREA. Ductless heating and cooling systems are high efficient systems that deliver warm or cool conditioned air directly into different rooms in your home, without the use of ducts. 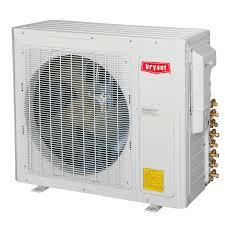 You may also hear them called mini-split or multi-split, heat pumps and air conditioning systems. Ductless heating and cooling units use small heating and cooling air handlers for every individual room, so installing a ductless mini-split system makes it easy to set up heating and cooling zones in your home. Some ductless systems can accommodate up to four indoor units that can provide heating or cooling, and each of these air handlers can be controlled individually via its own wireless remote thermostat. Home Theater Rooms - Entertain in comfort. For more on how you can save with these systems, contact your Sidney, Ohio ductless mini split heating and air conditioning experts at Lochard Inc.